Royal Raymond Rife (May 16, 1888 – August 5, 1971) was an American inventor, who invented a device he claimed could weaken or destroy pathogens, including cancer, and induce healing, by energetically exciting certain resonant frequencies within the body. The original Rife machine was based on a naval radio frequency oscillator, and this is the basis of the Rife technology that had reportedly successful trials in the 1930’s. Rife technology was revived in the 1980’s, and his research, and that of others interested in the field of energy healing, has been disseminated via the internet. The pineal gland is the seat of the Third Eye, the Chakra center associated with psychic ability, intuition, and expanded consciousness. 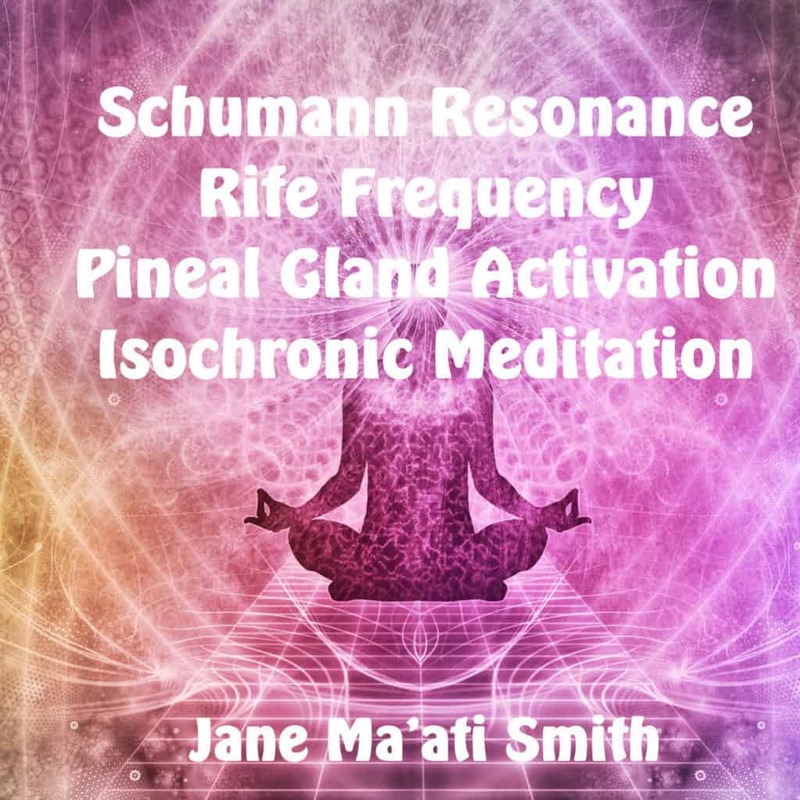 This program uses a Rife frequency associated with the Pineal Gland, and uses Isochronic tones going to a level of 7.83 Hz, the Schumann Earth Resonance, which is a deep, Theta healing level of meditation. The Schumann Resonance is the electro-magnetic heart beat of our planet, and a frequency we have evolved, over millions of years, to be in tune with. Progressing the isochronic tones, and your brainwaves, along the Schumann Resonances can have a profoundly calming and balancing effect. Be sure you use this when you have the time to close your eyes in a dark room, deeply relax, and let the sound healing frequencies go to work, to activate your Third Eye. Just turn off the lights, lay back, close your eyes, and relax. This deep, meditation MP3 can be used with or without headphones. Get it on iTunes. Click HERE, or on “View” then click the “Bag” icon on the upper right. Pay Pal for download only, not for streaming. iPad and iPhone, use iTunes.